You’ve likely heard the old saying “there’s strength in numbers.” For recovering heroin addicts, this is one statement that holds serious weight. Support, to put it simply, is essential for your sobriety. What’s the True Value of Support? The road to lasting sobriety is not always a smooth one; there will be highs and lows along the way. As nice as it would be to avoid all the lows – and the stress that comes along with them – that’s not realistic. However, having a support system that provides a soft place to land is one of the best tools for making recovery not only manageable, but more importantly, successful. As a recovering heroin addict, you’ll ultimately come up against a number of things that pose a risk of relapse. You can lessen that risk by surrounding yourself with a healthy set of friends and family members who support your goals. 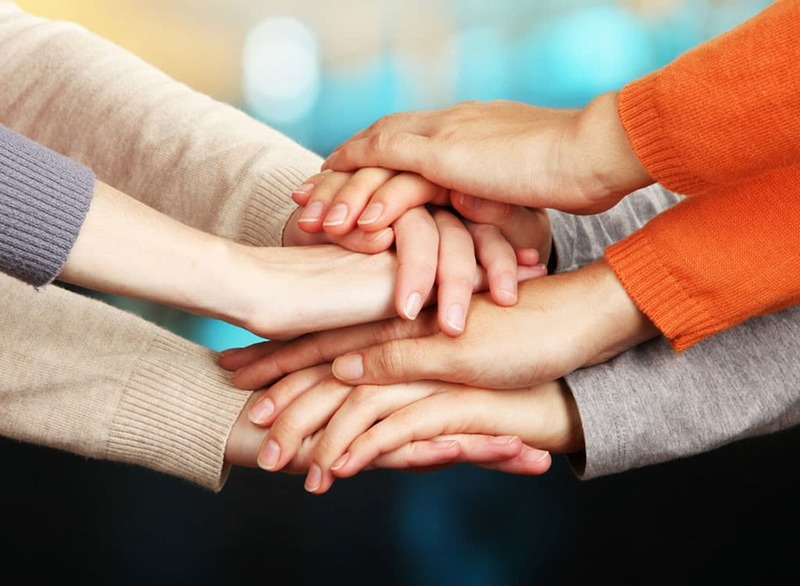 With that in mind, let’s take a look at three valuable benefits of a solid support system. …a support system that provides a soft place to land is one of the best tools for making recovery not only manageable, but more importantly, successful. Success doesn’t seem so far out of reach. When you face a challenge in recovery, it’s easy to become consumed with stress. Those feelings can quickly snowball and trigger that “inner addict” voice. For a brief moment, you might feel like giving in…it might seem easier to just pick up the phone and call your old dealer. And, let’s be honest, that’s all it takes; one brief moment of complacency can destroy all the hard work you’ve done. Having a support system provides you with people to lean on in stressful times. A few words of encouragement and insight can instantly make an emotional situation seem manageable. Once you’re off heroin and living in recovery, you’ll more than likely find that social situations can provoke massive waves of anxiety. The problem is, however, if you avoid all forms of socialization, it’s easy to fall into a pattern of isolation. Having friends around is the perfect way to lower the stress of social situations. There’s the comfort of knowing, no matter what happens, there’s someone right there who has your back. Suddenly, a social life seems not only possible, it’s something you welcome.